Colgate University (named the most beautiful college campus in America by the Princeton Review in 2014!) sits on a 553 acre campus in rural New York. And despite sharing a name with a top toothpaste brand, it is not a dental school. In fact, Colgate University is tied for 16th place in US News & World Report’s rankings for Best Liberal Arts Colleges–and Colgate is also ranked first nationally by the Institute of International Education in percentage of undergraduate students participating in semester-length, off-campus study programs in a liberal arts college. Two-thirds of its 2,900+ students participate in a study abroad program during their time at the university! And if you’re interested in staying a little closer to home, Colgate students can also enroll in classes at the equally prestigious nearby Hamilton College. On top of all of that, the environmentally-minded will be happy to note that Colgate has a perfect sustainability score from the Princeton Review–the college even loans out a stable of bikes to students to explore its pristine natural surroundings! Knowing the averages is a good start, but it’s only a small part of the picture..so keep reading for the full breakdown, plus some great advice from Colgate’s Senior Assistant Dean of Admission & Coordinator of Multicultural Recruitment. And I promise there won’t be any more dental humor. While Colgate doesn’t have a minimum SAT score for admission, it’s enrolled students definitely score well on the SAT. According to data on Colgate’s class of 2022, student’s middle 50% of SAT scores fell between a 1400 and a 1510. 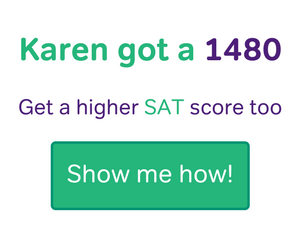 We advise our students to aim for the 75th SAT percentile for the best shot at admission…so in this case that would be a 1510! On the Reading and Writing section, the middle range scored between a 660 and a 730, which means one quarter of admitted students scored below a 660, while another 25% scored above a 730. So you should aim for 730, but remember, anything above a 660 is probably fine. Falling in that middle range (between the 25% and 75% scores) means that your score is roughly “average”. If it falls on one side or the other, your scores are either above average–higher than a 770–or below average–lower than a 660. In Math, the middle 50% scored between a 650 and a 770.
Colgate SAT scores are considered high, but you should take comfort in that fact that a full 25% of admitted students’ scores are below that middle range. 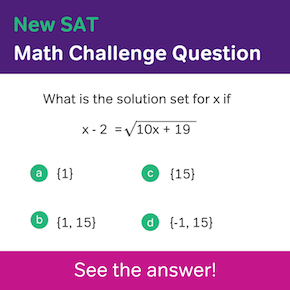 On the other hand, there are lots of ways to get your SAT scores up–which we’ll cover later in this post! Colgate University also superscores the SAT, so if you’ve taken the test multiple times, they’ll put your best scores together for a new report showcasing your highest performance. Hopefully that takes the pressure off a little! Colgate has also joined other universities in allowing students to self-report their scores. This means you don’t have to pay the testing company to send a copy of your scores to the university unless you’re admitted. That being said, you should obviously be careful to report your scores accurately: Colgate warns against recalculating or superscoring your results yourself. There could be major repercussions for lying about your scores, so don’t tempt fate–just report your scores honestly! 84% of Colgate students scored between a 30 and a 36 on the ACT, and the middle 50% got between a 31 and a 34. The further below a 31 your score, the less likely your chances of admission are, but get higher than a 34 and you can feel confident your score is above average. 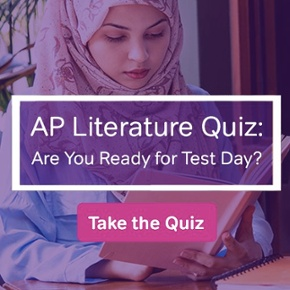 As with the SAT, you are allowed to self-report ACT scores until you’re admitted, and Colgate will superscore your results. Colgate considered a highly selective school. Nearly 10,000 students applied for fewer than 2,500 admission slots, meaning 24.9% — or 1 in 4 — students who applied were admitted. 85% of students come from the top tenth of their graduating class, and 95% were in at least the top half. Colgate offers two Early Decision deadlines, one on November 15th and another on January 15. As a selective college, if you’re certain Colgate is the right place for you applying Early Decision could increase your chances. A unique offering is the Deferred Entrance program, for students who wish to take a gap year before enrolling. As mentioned above, 85% of Colgate freshman came from the top tenth of their class, so it makes sense that nearly 50% of admitted students had GPA higher than 3.75 in 2017. Another quarter had between a 3.50 and a 3.74, and less than 25% had a GPA of 3.49 or lower. 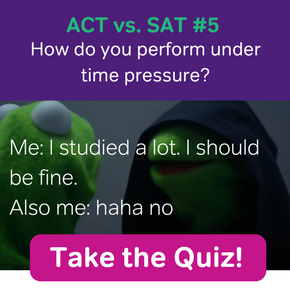 Just don’t forget that improving your standardized test scores, having diverse interests and extracurriculars, and expressive application essays can help to round out your profile–even if your GPA isn’t quite as high as you’d like it to be. Colgate received applications from every state in America for the class of 2022 and from 133 countries. 10% are international students, and one-third identify as multicultural. Over half came from public, not private, high schools. We talked to Jamiere N. Abney, Colgate’s Senior Assistant Dean of Admission & Coordinator of Multicultural Recruitment, to get his expert advice on how to get into Colgate University. “My biggest advice for a student seriously interested in being admitted to Colgate University is to make sure to challenge themselves academically and socially to be prepared for the rigors of our community. Colgate is located in rural central New York – this is both liberating and challenging for our student who come from across the globe to join our community of 2,900+ undergraduates. Our size allows us to offer a tight-knit environment where students are pushed to create new knowledge and actively engage both in and outside of the classroom. This level of detail necessitates someone who has really prepared themselves to be pushed to think critically and be prepared to take on more responsibility for their social environment as well. For more information, check out the “What we look for in Applicants” and “High School academic preparation” click-down tabs on the Colgate admission webpage to see what they’ve documented as important considerations within their admission process. 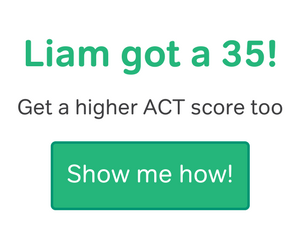 First, make sure you know what the Colgate ACT scores and/or the Colgate SAT scores are—and make scoring near the 75th percentile your goal. You should figure out your GPA, and see if falls into the Colgate GPA average range for admitted freshman, and try to keep your GPA up, even if you’re nearing the end of high school. Make sure your essays and letters of recommendation are as strong as possible for Colgate admissions. Then go for it! You’ve got a great shot!